In the spirit of the season I would like to take the opportunity to announce my own Sony Alpha ‘product of the year’ award. 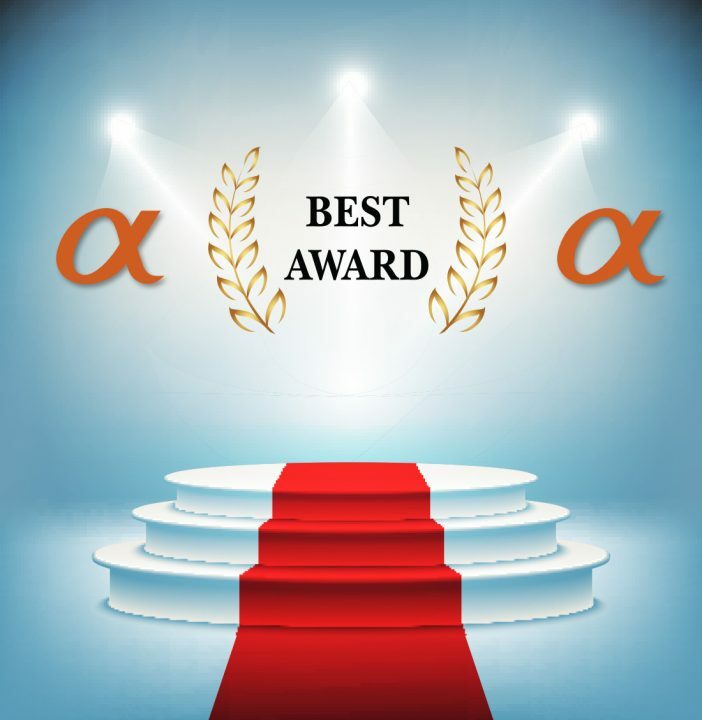 The actual award is my considerable effort to carefully select a couple of cheesy (and cheap) stock images, composite them in Photoshop and write a suitably long pre-amble before I announce the winner. Sony has released some great new cameras and lenses in 2017 and continued to unleash ‘disruptive’ technologies on the photographic community. These technological developments will have a significant impact on cameras we could see released in 2018. Yes – I am talking about the Stacked BIS Sensor we saw incorporated into the A9 camera that allowed this mirrorless camera to compete (and surpass) the very best performance capabilities that the very best DSLRs could offer. Make no mistake, it was the A9 sensor, and not the camera body, that was the true ‘hero of the day’ when this camera was announced. You can read my full review of this incredible sensor here. Imagine, for instance, what imaging capabilities this sensor technology could offer if Sony shifts its performance focus from stills to movie capture for an A7SIII or A9S in 2018. I feel Sony’s APS-C E-Mount camera system fully matured in 2017 with the A6500 coming online. Although announced in late 2016 the camera did not become widely available until early in 2017. With the inclusion of a stabilised sensor and a buffer that could keep up with the camera’s 11 frames per second the A6K lineup, I feel, finally matured. This little pocket-rocket can hold it’s head up against some very expensive DSLRs. Some of the glory this camera rightly deserved at its time of release was partly lost due to some negativity that appeared, in some online forums, due to the short gap between the release of the A6300 and the A6500 – conspiracy theories abounded about Sony possibly artificially limiting the performance of the A6300. The A6500 was not, however, designed to replace either of these cameras. 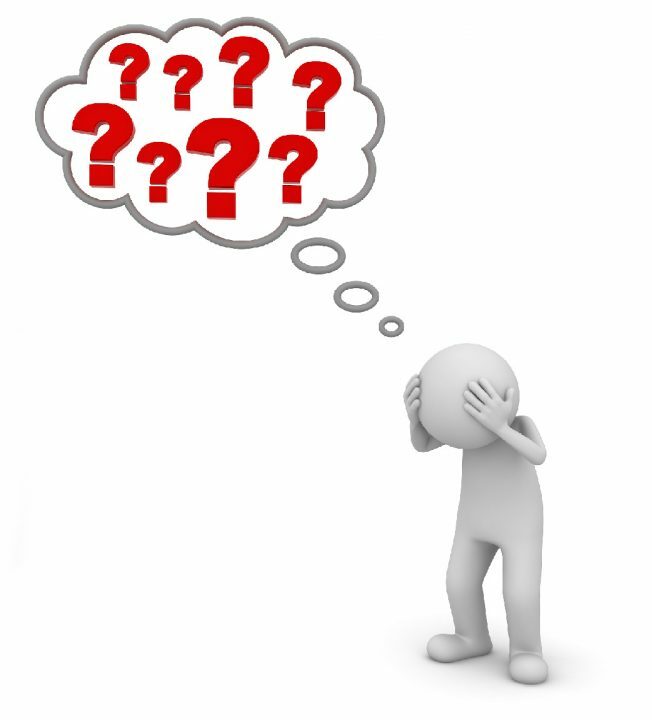 For many commentators the problem was getting their head around Sony’s ultra-rapid product developmental cycle and their ability to support an extensive and comprehensive product lineup. 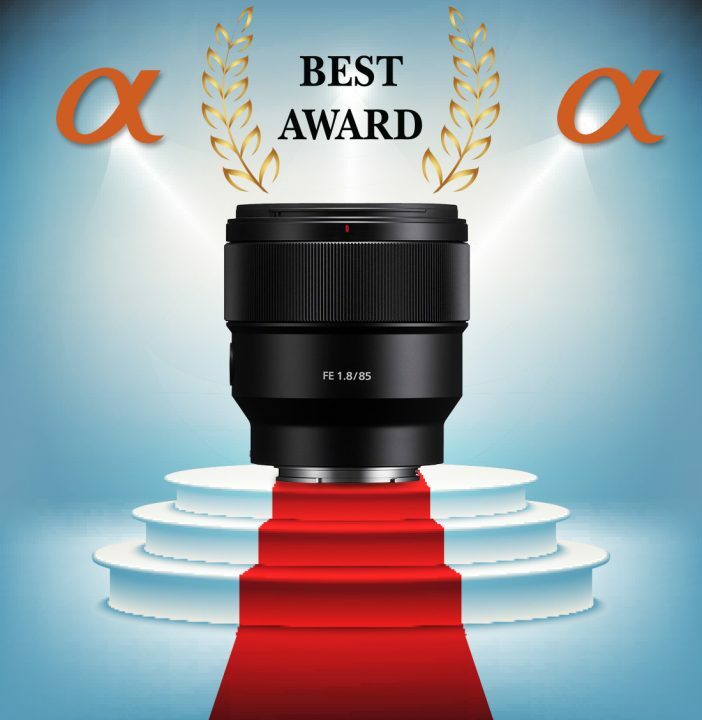 Full-Frame E-Mount mirrorless cameras also ‘came-of-age’ in 2017 with the release of the A9 and A7RIII cameras, dpreview.com awarded the A7RIII its highest award – ‘product of the year’. Although the very impressive A7RIII will be the camera that I mostly use in 2018, I felt sorry that the ‘game-changing’ A9 got left out in the cold by dpreview (it didn’t even make the short list of the best High-End ILC camera). 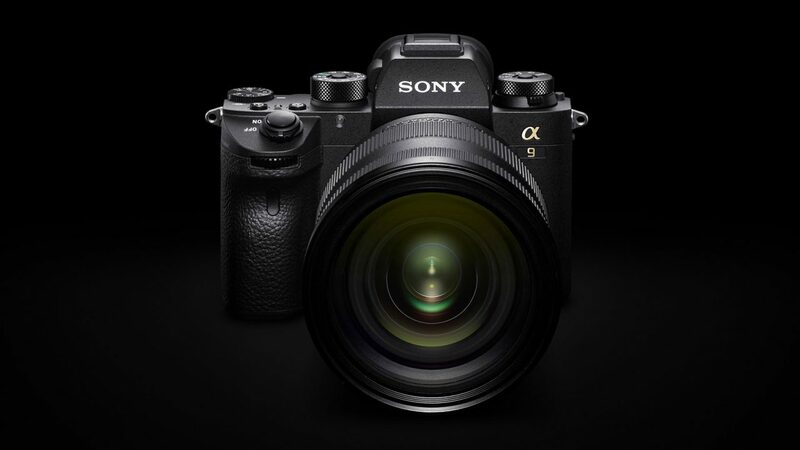 History will undoubtedly be a lot kinder to the legacy and significance that the release of the A9 camera will be remembered for. Not wanting to rain on the A7RIII parade I think the A9 was a more worthy contender for a technology award. The A7RIII, however, is evidence of how Sony has become a ‘listening company’, where hundreds of requested improvements from their loyal consumers are all incorporated to help refine an ‘already excellent’ existing product in their lineup. Perhaps for this reason the A7RIII, and not the A9, is worthy of my award. Nothing to report in 2017 :-(. The disappointment for APS-C E-Mount Alpha users is that although the A6500 demonstrates Sony’s continuing interest/passion/commitment in this sector of the market, the lack of new APC-C E-Mount lenses does not create a complete Sony branded system that can go head-to-head with the other manufacturers of light and portable Mirrorless cameras (Fuji, Panasonic and Olympus). Although Sony has some great lenses for APS-C users, there are a few notable gaps in Sony’s crop-sensor lens lineup. The only native telephoto lenses that can keep up with the ultra-fast A6300 and A6500 camera are the full-frame (FE) Telephoto Zooms (FE 4/70-200 G and FE 4.5-5.6/100-400 GM). Although these lenses function perfectly on the A6K bodies, APS-C users are having to use lenses that are heavier and more costly than they need be. Canon and Nikon are also guilty of the same sins (gaps in the APS-C lens lineup) as their premium telephoto zooms are also all full-frame lenses. 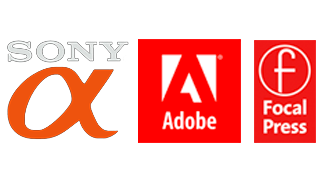 APS-C users can also find only limited support from lens manufacturers such as Tamron and Sigma. Only Fuji and Olympus (who don’t sell full-frame sensor cameras) manufacture these light, portable and very sharp telephoto zoom lenses. Lets hope 2018 will see some movement in this area as Sony definitely has the best camera (with the best sensor) in this sector. My wish list for this sector would include a E 4-5.6/100-400 G, a 2.8/16-50 and a few premium fast primes (maybe10mm and 85mm f/1.8). A busy year in this sector saw the release of the FE 1.8/85 and FE 100 STF GM primes and the 100-400 GM, 4/12-24 G 2.8/16-35 GM zooms. dpreview.com gave their ‘golden gong’ to the FE 2.8/16-35 GM, but I felt all the other lenses, previously mentioned, filled gaps in the FE lens lineup, where the FE 16-35 GM was simply an excellent alternative to an already excellent lens (FE 4/16-35). For my own line of work, the release of the FE 4.5-5.6/100-400 GM OSS allowed me to retire my last remaining A-Mount lens (SAL 70-400 GII) + the LA-EA3 adapter that was needed to attach it to my E-Mount system cameras. It was a great relief to see that this lens was fast and pin-sharp when used wide open. 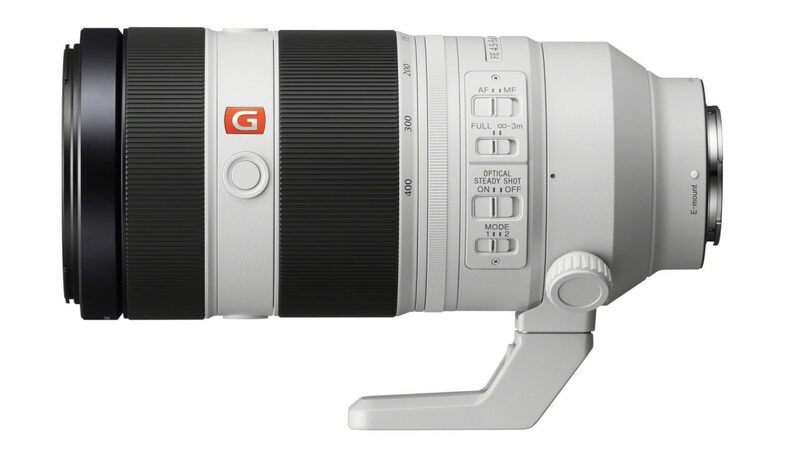 Although this completed my own lens lineup the release of the A9 would have not been the success it was without the release of the 100-400 GM lens on the same day. This lens served to be a real ‘hero release’ for the E-Mount system and its excellent performance when used in conjunction with the 1.4X Teleconverter has meant that the focal range can be extended to 560mm on the A9, 600mm equivalent on the A6500 and a whopping 840mm when used in APS-C mode on the A7RII and A7RIII cameras. This certainly has to be a contender for my Alpha Product of the year award. The FE 4/12-24 G lens also provided a native ultra-wide angle zoom for lovers of landscape. The fact that its performance has been compared to lenses such as Nikon’s 14-24 means that Sony scored a winning goal as the FE 4/12-24 is ultra sharp (corner-to-corner) but significantly lighter and wider than the 14-24 Nikkor. A true ‘hero’ in the lenses Sony released this year has to be the FE 1.8/85. This lens is not a G, a GM or labelled with the Zeiss logo, yet it is spectacular in its performance, light in weight, small in size, sharp wide open and ultra-fast focussing. The ‘hero’ element for this lens was not the fact that it could claim to be any sharper than any of the other prime lenses I already owned at this focal range (FE 1.4/85 GM, FE 2.8/90 M and Batis 1.8/85). The FE 1.8/85 is heroic simply because its performance is fantastic but its price tag is not. This has to be the best ‘value-for-money’ / ‘bang-for-buck’ lens in the Sony lens lineup. Match this with my love of the 85 focal length for capturing portraits has meant that this lens has won not only a place in my heart but also a permanent place in my camera bag. One of the dpreview judges picked the Z series battery used by the A9 and A7RIII cameras as his choice for the dpreview product of the year award. I never really saw changing W series batteries on my A7RII camera as a deal breaker. I could usually manage more than 360 shots on one battery and the battery would last 1,000 frames or more when shooting a time-lapse sequence. The fact that I could charge the battery while shooting and change the battery in 5 seconds (+ restart time) never seemed like a first-world problem for a guy who could only shoot 36 frames on a roll of 35mm film. I have to say that the ability to work all day on a single battery and only require one battery charger at the end of the day makes life on the road just that bit easier. 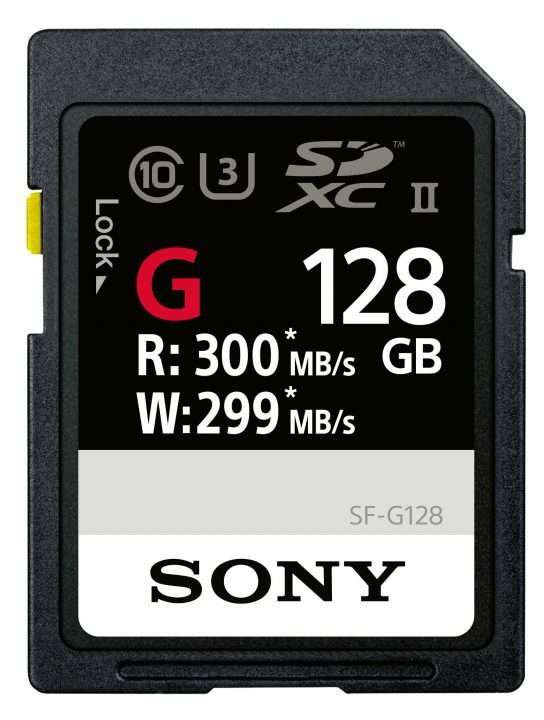 Perhaps a more significant Sony product release (one that paved the way for the performance capabilities of the A9, and one that may well save a week of my life) was Sony’s SD XC II memory card with its 300 MB/s Read speed and 299 MB/s Write speed. The speed benefits are not only enjoyed by the latest mode A9 and A7RIII cameras but these speed benefits flow through to the time, or lack of it, it takes to transfer the files to my computer. This lens is such good value and its stellar performance can be shared by all. It makes a fabulous wide aperture 135 equivalent lens for APS-C E-Mount users and offers a better travel option than any other 85mm prime lens on the market. Its small size and light weight makes it ideal for mirrorless users and supports the ‘less-weight’ ideal of the ‘move to mirrorless’ movement. It gives us confidence that when Sony can design and make a lens economically, it is willing and able to pass on those cost savings to its consumer base. I hope to see Sony embrace this concept and roll out another couple of cost-effective primes in 2018.